By Gottfried de Purucker (1874 – 1942). 122 Pages | Copyright 1986 | Softcover | Point Loma Publications, San Diego, California | ISBN: 0913004480. Dutch translation: Wat de Dood Werkelijk Is, Vragen die Wij Allen Stellen | Copyright 1986 | Stichting ISIS, International Study-Centre for Independent Search for Truth, ‘s-Gravenhage ISBN: 9073257018. 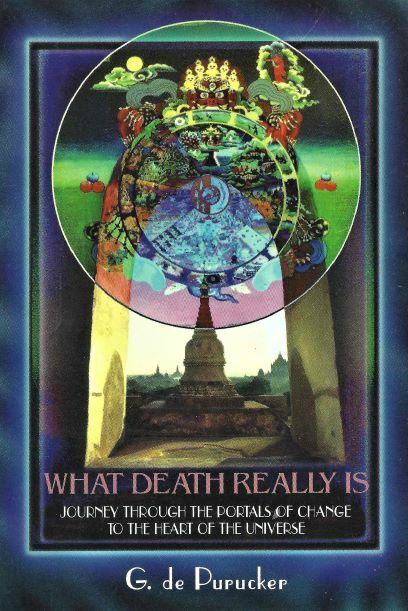 What Death Really Is, is a concise handbook to understanding the processes of dying and the after death states. It answers some of the most pertinent questions, that one has about after-death consciousness. Drawing from various world Wisdom traditions, G. de Purucker reaches into the heart of the subject in a clear and understandable manner. 201 Pages | First edition 1933, second ands revised edition 1996 | Hardcover | Theosophical University Press, Pasadena, California | ISBN: 1557000506. Dutch translation: Occulte Woordentolk – Een Handboek van Oosterse en Theosofische Termen | Second revised edition 2011 | Theosophical University Press, Den Haag | ISBN: 9789070328955. Modern theosophical writings contain numerous terms and concepts drawn from the sacred literatures of antiquity, most of which are not found in modern dictionairies. Other have entered the vernacular with such a diversity of meanings they are in danger of losing their clarity and usefulness. Like the term occult, which simply means ‘hidden’ (as when a star is ‘occulted’ by a moon or planet), their philosophical depth has been obscured by layers of popular connotation. A succinct and reliable guide to this specialized terminology is required. In print since 1933, The Occult Glossary fills this need. 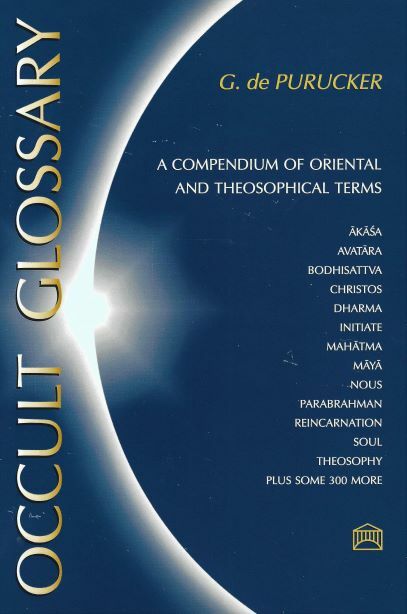 Defining some 300 (Sanskrit) terms most frequently found in the field of metaphysics, it serves also as a fine introduction to theosophy. 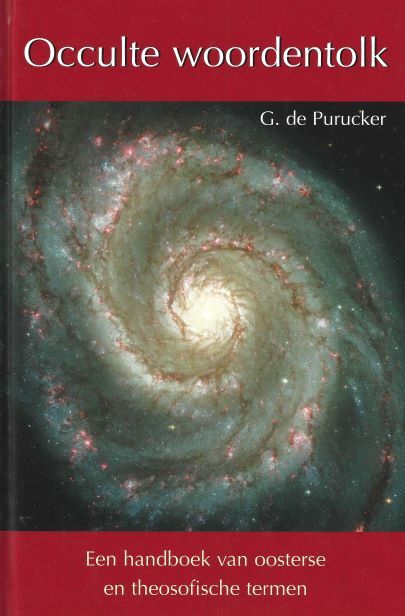 A scholar of Occidental and Oriental languages and philosophies, Dr. G. de Purucker was well qualified to elucidate these terms, and to explain the spiritual import of such themes as karma, reïncarnation, planetary and solar cycles, universal brotherhood, and man’s evolutionary pilgrimage. 170 Pages | Published in 1931, copyright 1971 | Softcover | Point Loma Publications, San Diego, California | ISBN: 0913004022. Dutch translation: Gulden Regels der Esoterische Wijsbegeerte | Uitgegeven in 1976 | Stichting ISIS, International Study-Centre for Independent Search for Truth, ‘s-Gravenhage | ISBN: 9070163551. 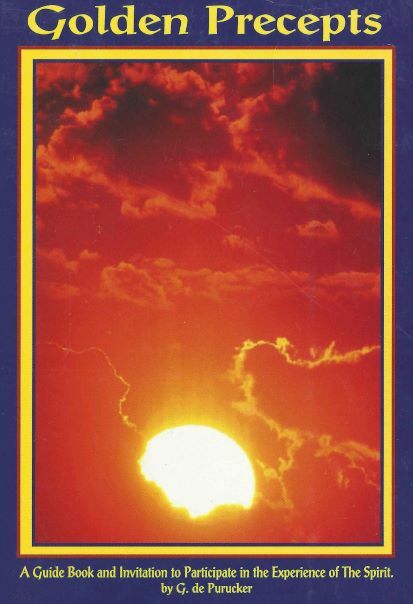 Golden Precepts is a handbook for those following the path to the heart of the universe. De Purucker’s expression of the timeless ‘Wisdom’ carries with it a quality of living spiritual experience and inspiration. Integrating Theosophy, Vedanta and Buddhist teachings, this book of mystical guidance is a light for all following ‘the inner path of enlightenment’. G. de Purucker is regarded as the most profound expositor and commentator of the 20th century on the Theosophic teachings of Helena Petrovna Blavatsky (1831 – 1891). His works cover areas of metaphysical, philosophical and mystical expression. Golden Precepts is his pre-eminent mystical writing, a guide book and invitation to participate in the experience of the spirit. 45 Pages | First published in 1938, second printing 1944, second edition and edited in 1972 | Softcover | Point Loma Publications, San Diego, California | ISBN: 091300406. 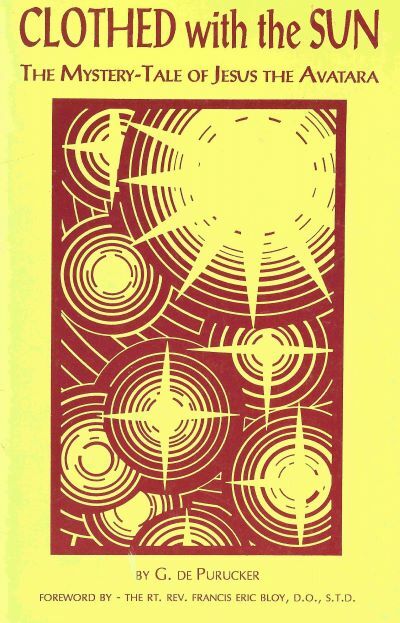 Dutch translation: Bekleed met de ZON – het Mysterie-verhaal van Jezus | Uitgegeven in 1972 | Stichting ISIS, International Study-Centre for Independent Search for Truth, ‘s-Gravenhage | ISBN: 9070163195. Jesus lived. Whatever name he may have had, the individual known as Jesus (the Hebrew name being Jeshua or Joshua), was an actual man, a great Sage. He did indeed live. He was, furthermore, an initiate into the secret doctrine of his period; and around him, after his death, grew up legends and tales, which were woven in later days – say a century after his death- into the so-called Gospels. But who was Jesus? Nobody really knows. There is not one, single definite, conclusive, and proving answer to this question – not a single answer, which is know to be a certainty. When did Jesus live? When was he born? The answers to these questions are still unfound and still occupy the attention of not a small army of scholars and students; but behind all the cloud of uncertainty and the dust of conflicting opinions and, through all the ages since Jesus, later called the Christ, came and taught his fellow-men, through all and behind all this, we nevertheless discern the sublime figure of a Great Teacher.